Do I have to go back to the same surgeon/clinic? Ideally yes. Any concerns or alterations should be taken directly to the surgeon who performed the procedure. They will want to know how you’re getting on! They will also know your history, circumstances and exactly how the implants were placed in a way that is much more involved than notes on a file. But this is not absolutely necessary, a new surgeon can indeed help you with your implants but they may ask a few questions so it’s best to be super informed if you are planning to go elsewhere or know you will not be able to reach your surgeon. A new surgeon will want to know: the brand that made your implants, the size, the shape, the position in relation to the muscle and as much detail as you have regarding the surgery in order to advise on the next step. How much of a change in size can I make? When choosing an implant size you should carefully consider if this is indeed right for you. During your consultation your surgeon or assisting nurse will take measurements and map out a procedure plan with you taking into account your current size and lifestyle. However as time goes by personal preferences and universal beauty standards do change leaving some wishing they’d gone for a different size. Going bigger – If you are looking to get a larger size this can indeed be achieved by replacing your implant with a larger sized set. It all comes down to your original chest size and volume of breast tissue, it is best to stick as close to your original size as you can, this will give you a natural-looking result. If you go too big in comparison to your original size then you risk appearing artificial. Getting smaller- Going for a smaller size is usually a very simple process. You can just take out the implants to go back to your original bust size or you can choose to have a smaller size implant put in place of the current one. Taking out implants must be carefully considered: if you return to your initial size you may experience some sagging. This can be fixed with a Mastopexy (or uplift) and/or by putting in a smaller size implant. With implant replacement do I have to have two separate operations? Usually this is not the case: you can have your implants removed and replaced in one procedure. In some rare cases it is necessary to have two separate procedures. If you have an infection around your implant then your surgeon will recommend a three month break. Your body will need that amount of time to recover to avoid any additional complications that could arise. You can of course choose to have two separate procedures; if you are not completely decided on your new size but are certain that you want to get rid of your current implants you can have them removed and then wait. Your breasts will naturally get smaller and there is no time limit on when you need to get replacement implants if at all. Does the new implant go in exactly the same place? Recovery time is usually shorter if the implant is placed in the same place, and it will be the preference of the surgeon to do this. This minimises the trauma to the area. Sometimes this is not the best course of action if there is an issue with the pocket or concerns of a capsule, or you have noticed a change and can feel the implant sitting differently in the old space then a change of position in relation to the muscle may be necessary. Putting the implant under the muscle if it was previously over will usually fix implants that ‘stick out’, just as moving the implant in front of the muscle if it wasn’t there before usually corrects the potentially unnatural look you may be experiencing. 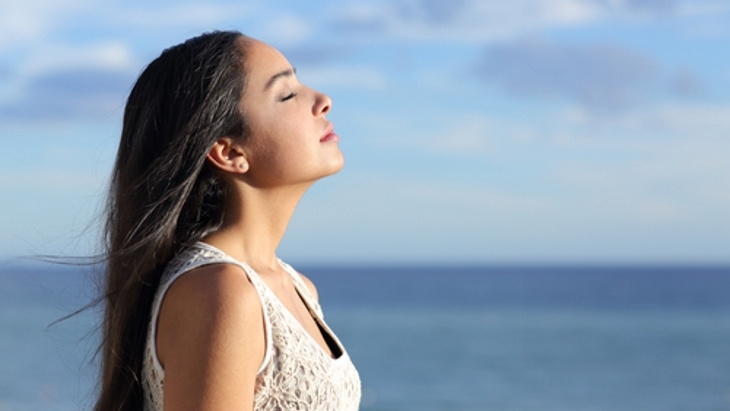 Recovery and aftercare will work in much the same way as it does for a breast augmentation. Overall you should heal faster than you did in your initial breast enlargement procedure. If you have had the implants replaced slightly differently than the recovery time will alter accordingly. Your surgeon will more than likely use the same scar as an entry point for the implants so there won’t be any additional scarring. In most cases this is along the inframammary fold which is just along the bottom of the breast. Scars these days are also much shorter than they used to be averaging at 4-5cm. It is worth noting that if you choose to have an uplift as well then a “Lollipop” scar will be made around the areola and down the breast. If you have concerns about this do raise it with your surgeon. They will want to make every effort to give you discreet and effective results. 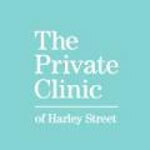 The Private Clinic are known for their high standards in patient satisfaction and results, as well as sourcing the very best surgeons and medical staff in their respective specialities. They are fortunate enough to have their own central London private hospital in Fitzrovia as well as clinics at London (Harley Street), Birmingham, Manchester, Leeds, Northampton, Glasgow and Princes Risborough (Buckinghamshire) and consulting rooms across the UK.